White man can do. While thousands of Thai police and rescue workers stood around, a small three person british cave rescue team arrived on the fourth day after their disappearance. They were not Navy Seals, they were British. Old salts of the earth. And they dove and dove and refused even to give interviews. They were 100% focused. Now swarming around like lost ants. They did not fly drones or run useless pumps. They did not dig ditches. No they got down to business. Using meticulous maps and planning they dove and dove and dove until they found the chamber holding the children. Robert Charles Harper, left, and diver Richard William Stanton, middle, at Tham Luang Nang Non in Chiang Rai last week. CHIANG RAI — A British trio was the first to find 12 missing boys and their football coach alive inside a northern cave complex on the ninth night of their rescue efforts – but some weren’t surprised. 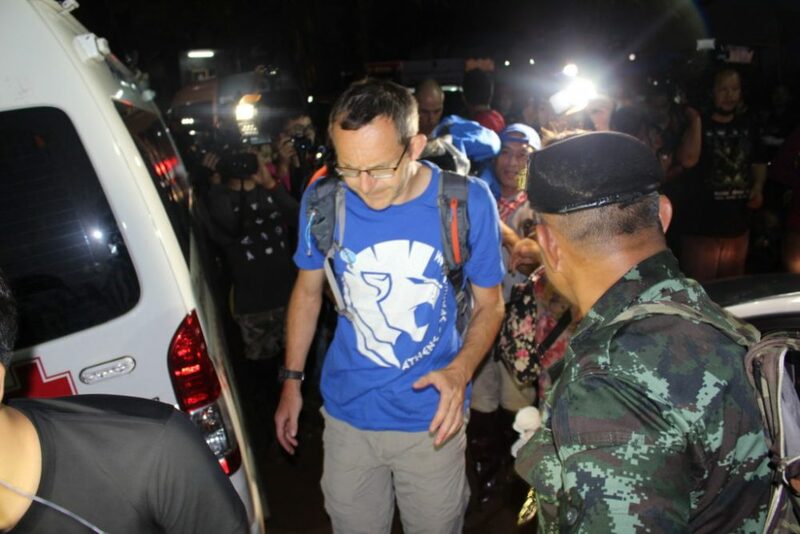 Pipob Udomittipong, foreign affairs commentator, said he was unsurprised the small foreign team discovered the group first instead of Thai rescuers – comprised of hundreds of officers. “Our country never prepared for this. We still lack a body of knowledge about caves. We lack special skills and unique equipment for cave searches,” Pipob said Tuesday. 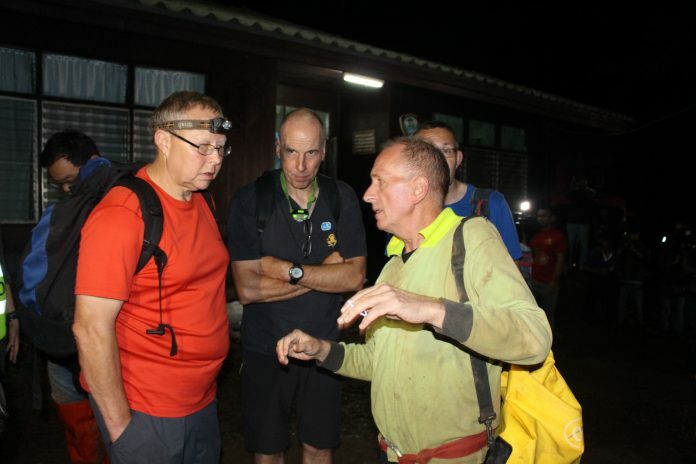 Divers John Volanthen and Richard William Stanton and caving expert Robert Charles Harper – all part of the British Cave Rescue Council – arrived in Chiang Rai last week, three days after the 13 went missing. Pipob – who followed the search since day one – said the maps of the caves used by different departments did not even share the same information. Pipob also said some Thai media were to blame, adding that instead of focusing on heavy criticism against the deputy police chief’s work, it should have educated the public by providing information about the cave: from its ecosystem and dangers to survival and prevention guides. “The media missed the chance to educate Thai people about the cave,” Pipob said. Diver John Volanthen arrived last week at Tham Luang Nang Non. 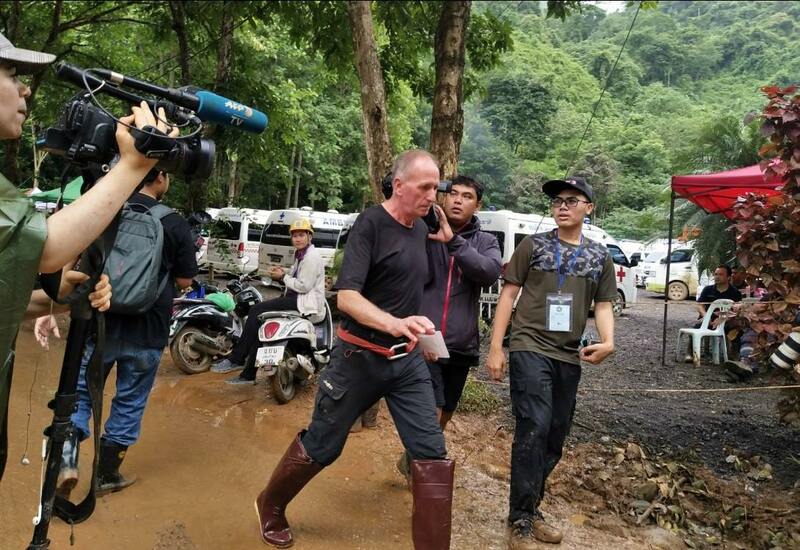 British caver Vern Unsworth emerged from Tham Luang complex on Tuesday. Unsworth had been guiding paths for British divers inside the cave until they discovered the 12 young footballers and their coach last night. Next Next post: Imran Awan Hacks Servers Steals Data, Goes Free….